A Full Cash Offer Directly In Your Pocket. You Choose The Closing Date. If you are considering selling your home privately or need to sell quickly, we are here to help. By completing the form below and providing your property information we can give you a FREE, NO obligation offer on your home. Look forward to hearing from you. Texas Fair Offers is a couple of dads (See Who They Are, The Video Is At The Bottom Of the Page, Scroll Down) who love real estate and creating extraordinary selling experiences for people. We would love to help you sell your Austin house, easily. We will help ensure you get a guaranteed quick house sale and fair all cash offer. First, to be clear, we’re NOT agents or a listing service. We’re Austin house buyers, we can close on your time frame and we’ll buy your house as is. No scams, just a simple transaction. Remember, we buy all types of real estate in Austin, and in every condition. Be done with that property. We’re direct cash house buyers. Contact Us Today! • Paying no real estate, transaction, or commission fees because we’re NOT agents, we’re direct cash home buyers! • Selling your house as it, no repairs necessary. This means we buy your property AS IS. No gimmicks. • Complete confidentiality and transparency through the entire process. We promise, NO SURPRISES. We can make you a fair, cash offer and are willing to buy your house now in as-is condition. Our team works hard to ensure that the process of selling your home is first off enjoyable, straightforward, and efficient. We will take care of all the paperwork and closing costs, working hand in hand with you every step of the way. Please take a moment to fill out the brief form above – about you and your home – and we will contact you within 24 hours. Our promise is to make the process simple and on your time frame. No surprises or gimmicks. Selling your house privately is easy with the Texas Fair Offers team. We are private home buyers, real estate investors, specializing in buying houses and multi-family homes. With us, you can sell your property for cash and pay no commission or marketing fees. And we buy houses fast! We buy houses, as-is, in any condition, no repairs needed! Provided your property meets our criteria, we can purchase your house in cash and close quickly (could be as little as 14 days), with no hassle. With us, you can also rent back and keep the cash or leave when you are ready. Our number one priority is to provide you with an extraordinary real estate selling experience. Customers praise us for our friendly, reliable and professional team who have extensive up-to-date knowledge of the local Austin real estate market. If you need to sell your house or investment property fast our team at Texas Fair Offers has the experience and expertise dealing with homes for sale by owner and with investors. Texas Fair Offers provides either a quick or long closing period to suit you along with flexible terms. If you are going through a divorce or separation, need cash fast, starting a new job, need cash to pay medical bills, facing foreclosure, late on loan payments, or a landlord looking to sell we can help! Please fill out the form above with your contact details and the address of the property you wish to sell. One of our buying specialists will be in touch within 24 hours. If your property meets our investing criteria, we will then present you with a no obligation offer. It’s as easy as that! Get the ball rolling and sell your house fast! Don’t delay, contact us now. We would love to hear from you. Hear more from the founders of Texas Fair Offers. Press The Play Button Now! We Have The Funds Available To Buy Houses Anywhere In These Areas Right Away — We Don’t Want To List Your House, We’re The Actual Buyers And We’re Ready To Make You A Fair Cash Offer For Your House Right Away. How do we know we’re your best option? First of all, we follow through with our word and promise. Plus you get a fast closing (if you need it), more money in your pocket and you get our promise… to do what we say we’re going to do. 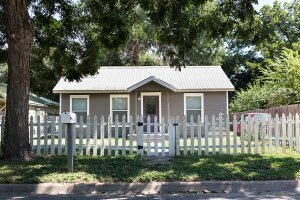 If your ready to sell your house without delays in Austin and surrounding areas within Travis County … let Texas Fair Offers make you a FAIR competitive all-cash offer.